Well it looks like im already an avid reader of gems, BUT i must say I did have a mini heart attack when I saw that you were scrapping WTLTA!!! 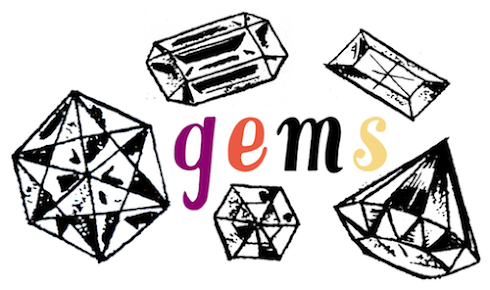 It is definitely my favourite blog ever and my heart has broken a little bit that it will soon be gone- I often flick back through all the old posts since you began so i have a plea- could you transfer all of the posts onto gems?? that way we will have the best of both worlds, after all what's in a name? keep blogging and sorry for my perhaps a bit OTT outburst! I transferred MOST of the posts over here (& deleted them from Where the Lovely Things Are). The only posts that didn't migrate over were all the item-centric ones: if they were old, the items weren't available in the stores anymore so it didn't make sense to spend the time transferring the post.